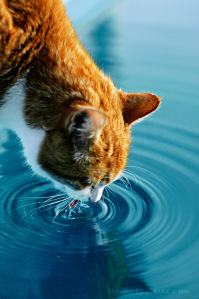 This entry was posted in Cats and tagged cat, cat behavior, water and cats. Bookmark the permalink. who knew? but it makes complete sense — thanks for yet another informative and fun post!